This unit is assistant DMX controller. You can record some existing DMX program from DMX controller and playing in other place. It has RS-232 function which will enable you to do some special work. 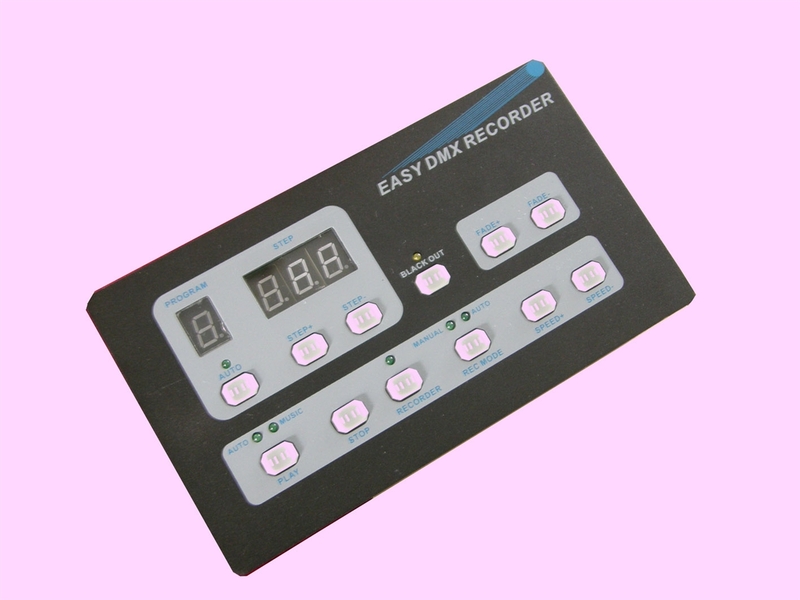 Then press the REC MODE button to select recording function: auto recording or manual recording then the corresponding led will light up. Press AUTO button to choose the Program number which you want to record in then DMX signal can begin record if the input DMX signal is valid. Auto function: it will record each scene till to 512 scenes. Manual function: press the RECORDER button once to save one scene and so on you can up to 512 scenes. Can push and hold AUTO and STOP in the mean time then LED will flash 3 times which means the program is deleted and STEP appear 000. In DMX recording mode, Press and hold up AUTO and STOP and PLAY button in the mean time then LED will flash 5 times which means it delete all programs. Note: no recover for this function. 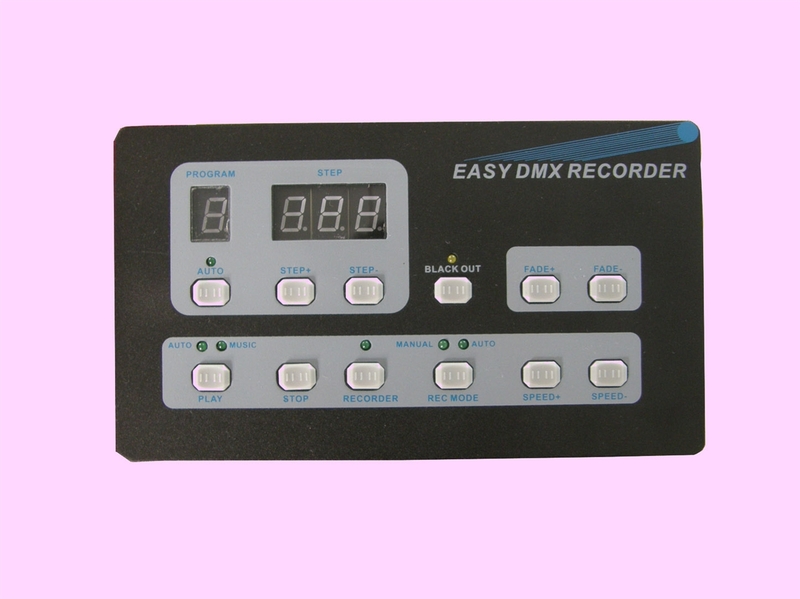 In DMX recording mode, push REC MODE enters AUTO function then AUTO Led will light up. Then Press RECORDER button 2 seconds the RECORDER LED light off which means exit DMX recording mode and saves all recorded programs. Press AUTO button 2 seconds the PROGRAM will shows “A” which means it will running all program. Otherwise it will runs one program from 1-8. Record 8 programs and each program can up to 512 scenes. RS-232 interface which can control all function. 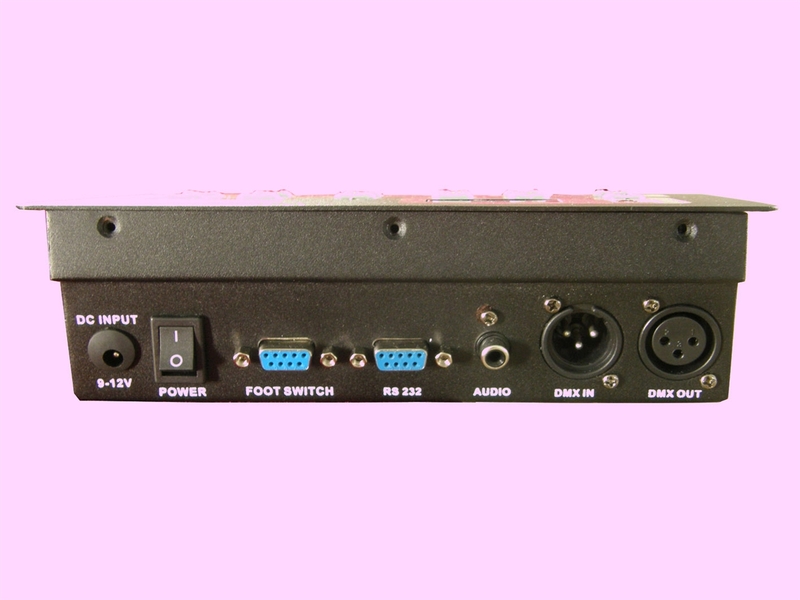 External control interface for remote control or foot controller. Translate RS-232 signal to DMX signal. XLR interface and DB-9 interface.